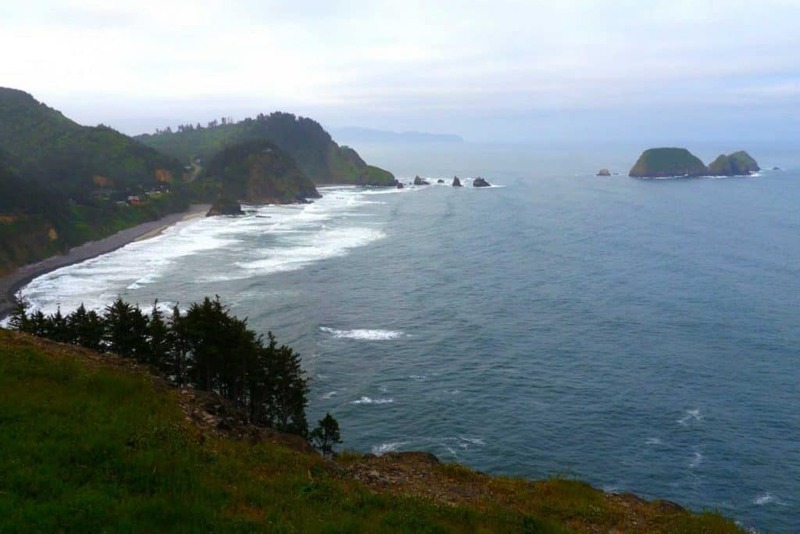 We’ve traveled extensively along the Oregon Coast – in more than one road trip. 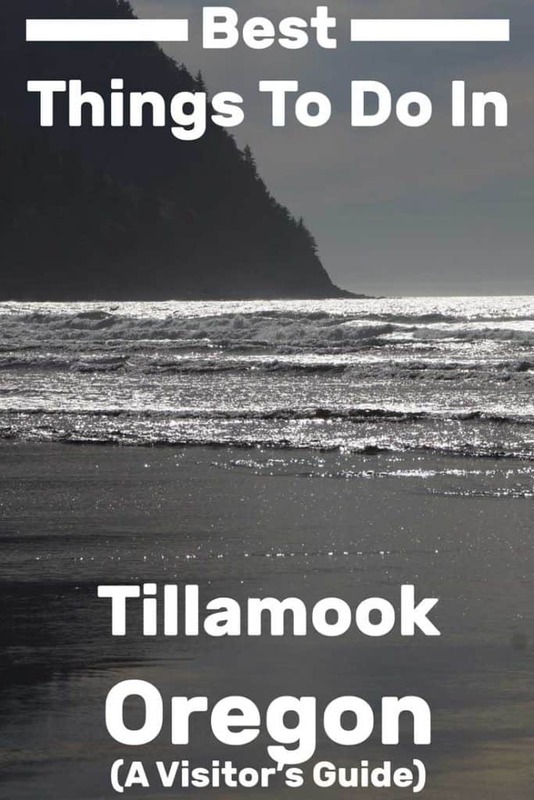 Tillamook, Oregon was a great place to stop and spend some time around, so it’s well worth a detailed post that will help you get a taste of the area. And in this case, that literally includes tasting the awesome locally-produced cheese and ice cream! Keep reading for more detailed information on each of these attractions, including the cost, hours of operation, and links to the attraction’s websites if applicable. 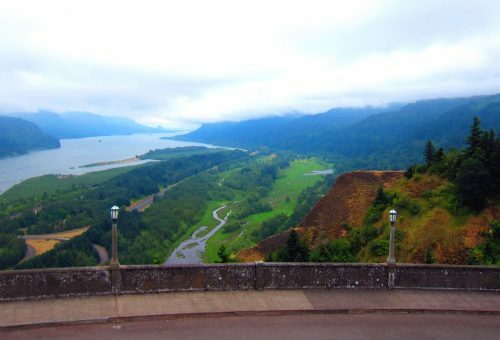 In addition, I have included a list of the best places to stay while enjoying the top things to do in Tillamook at the end of this post. This post is part of a series of posts about various places along the Oregon coast, so if you’re planning a vacation there, stay tuned for more! 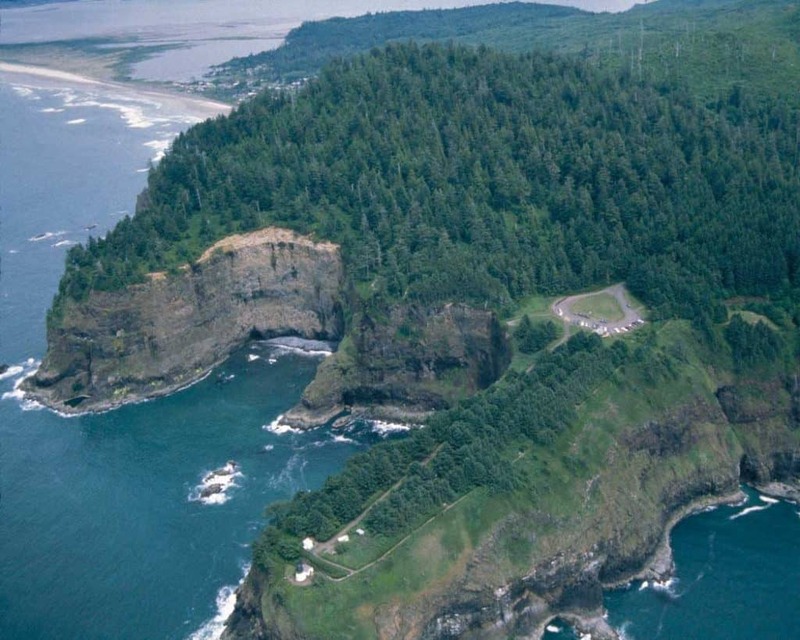 Surrounded by the Cape Meares National Wildlife Refuge (#2 on this list), this park houses the Cape Meares Lighthouse. It also has the Sallie Jacobson Interpretive Kiosk, and interpretive panels at key viewpoints. The Cape’s location 200 feet above the ocean provides visitors with a beautiful view. From this location, you can see colonies of nesting sea birds and many visitors have been able to spot bald eagles and peregrine falcons. In the summer you could get lucky and spot resident whales, seals, and sea lions. 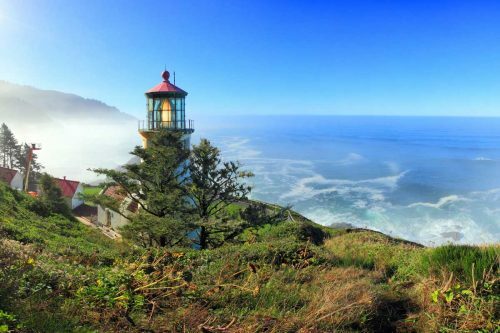 Constructed back in 1889, The Cape Meares Lighthouse stands a whole 38 feet tall. It has the honor of being the shortest lighthouse in Oregon, but thanks to the location it didn’t need to be any taller. From 1890 until 1963 the lighthouse was used to help keep ocean vessels from hitting the cliffs. The Lighthouse is open to the public from April to October for no cost. It opens at 11 a.m. and closes at 4 p.m. each day with tours available throughout. For more information on the lighthouse, you can check out this website. The park itself is free to visit and is open from 7 am to dusk daily. If you want more information about the park’s history or park advisories for when you plan to travel, you can check the website. 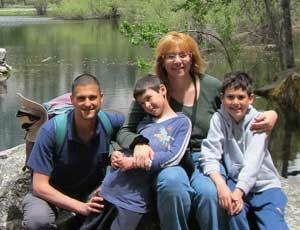 Consisting of almost 140 acres of forest, this wildlife refuge is full of scenic views. 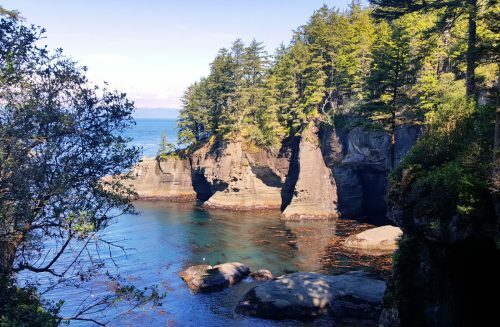 There are beautiful vertical coastal cliffs, rocky outcroppings, rolling headlands, and centuries-old Sitka Spruce and Western Hemlock trees. Oh, and there is a LOT of wildlife to be viewed! Cape Meares provides visitors panoramic views of the Pacific Ocean due to its unique location. One of its’ claims to fame is that from here you can actually see two other refuges, the only place in the United States this is possible! 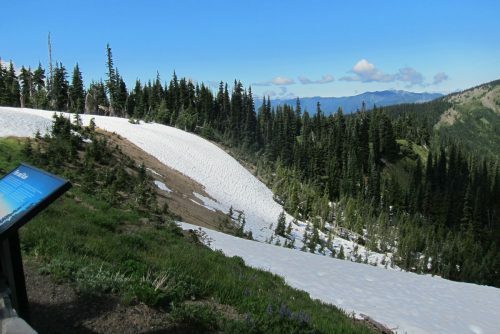 If you enjoy hiking, there are several trails visitors recommend for viewing the old-growth forest and wildlife. 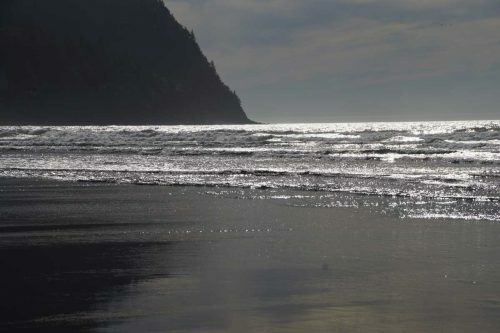 The Cape Meares Scenic Trail is just under a mile long and is considered moderately difficult. The Sitka Spruce Trail is less than a quarter mile long and is an easy trail, visitors warn that the honk you hear on the trail is natural. Now for the wildlife you can view! From the headland, you could be lucky enough to spot migrating Gray Whales. In addition, you can possibly view Harbor Seals and sea lions. As for the land-based animals, you could run across many different species. While rarely seen, there are black bears, black-tailed deer, and Roosevelt elk living in the refuge. There are also many smaller animals that can be seen while exploring the forests. This includes rodents, moles, and shrews. Along the many bogs and marshes, you can find different species of salamander and frogs. If birds are your thing, this is the place for you. There are many different species of nesting seabirds found along the cliffs. These include Bald Eagles, common murres, pigeon guillemots, pelagic cormorants, and black oystercatcher and many other threatened species. The refuge also boasts a pair of peregrine falcons, formerly on the endangered species list. The Champion Spruce, the state’s largest Sitka Spruce, measures over 144 feet tall and has a circumference of 48 feet. The crown, or top branches of the tree, spreads over 93 feet! It is estimated that this beast of a tree is somewhere between 750 and 800 years old. The Octopus Tree is a huge Sitka spruce that is appropriately named due to the numerous branches growing out like tentacles. The base of the tree is 50-feet around and the branches extend over 15 feet from it. Once they start stretching toward the sky, they measure over 100 feet high. The refuge is free to visit and stays open year-round. There is a gate controlling access to the refuge which opens at sunrise and closes at sunset. There is no visitor center but you can find more information on their website. This park is home to not only Munson Creek Falls, but also ancient western red cedar and Sitka spruce trees. 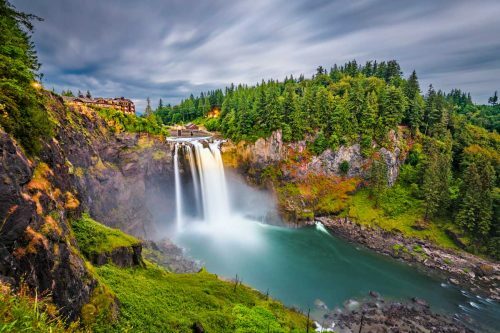 Encompassing over 62 acres of land this park is considered a paradise for photography enthusiasts, especially during the fall as the leaves change colors. 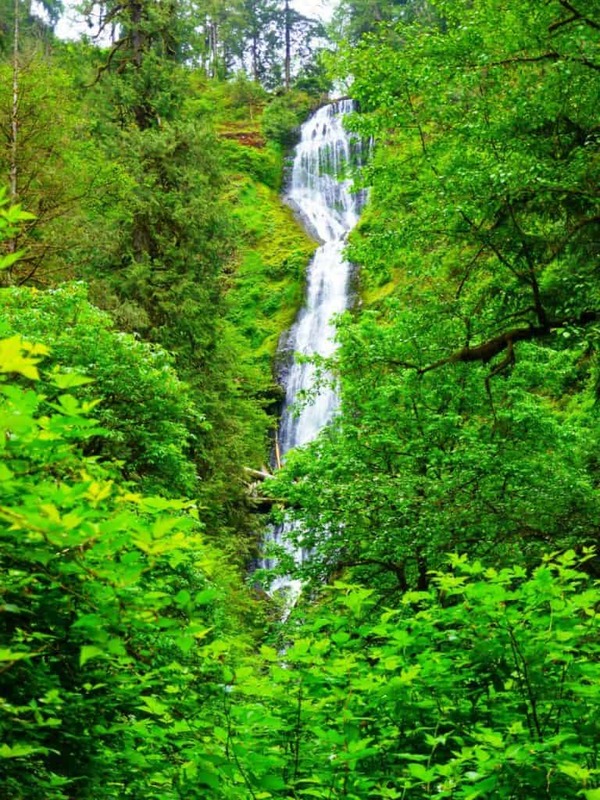 Munson Creek falls is one of Oregon’s largest waterfalls and the tallest in the Coast Range with a dramatic 319-foot drop. The hike to reach the falls is moderate, but people say it is accessible to anyone who wants to see the falls. The lower trail is only a half mile walk to get to the base of the falls and there is a perfect little picnic area available to take in the view. The upper trail is more difficult but gives hikers amazing views of wildlife, foliage, and a cool view of the falls from the summit. Previous visitors warn that there is no restroom available at this park so plan ahead! It is free to enter the park and it is open year-round. 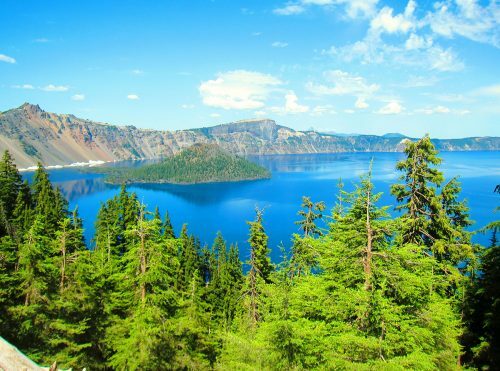 While the information is not very detailed, you can check out the Oregon State Parks page for this park here. Considered the Coast Range retreat, this education and recreation center is a must-see while in Tillamook. Focused on experience and exploration, the Forest Center showcases the legacy of the historic Tillamook Burn, Oregon’s forest history, and a monumental reforestation effort. 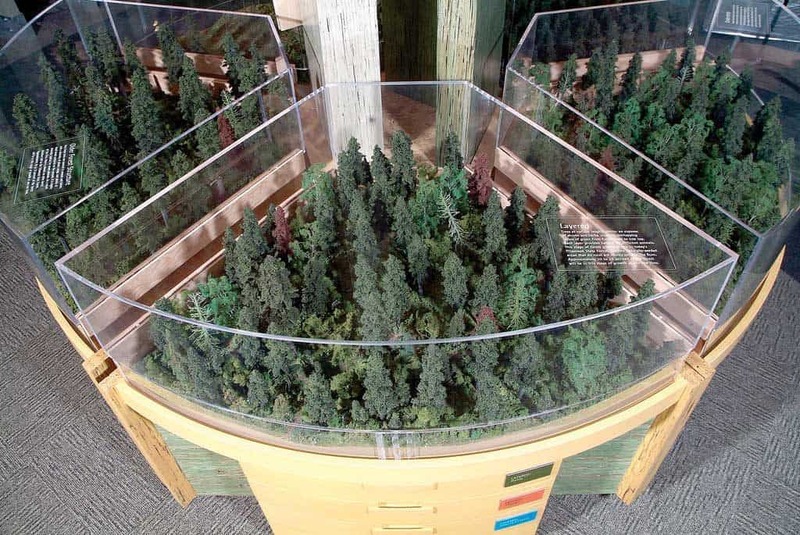 Taylor Studios fabricated a variety of exhibits for Tillamook Forest Interpretive Center. This includes a replica forest (shown here) illustrating five phases of forest development in succession. 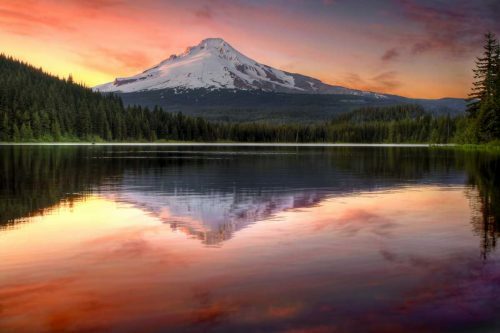 | Photo by Taylor Studios, Inc.
40-foot tall replicas of forest fire lookout towers are at each end of the center. These towers are climbable and offer an amazing view of the center. In addition, there is a suspension bridge that spans 250-feet long and ends at the Wilson River Trail. There are many interactive exhibits focused on the past, present, and future of the Tillamook State Forest. Friendly and knowledgeable forest guides are present to answer questions and help visitors get the most from their visit. People suggest you plan ahead so you can enjoy your visit to the fullest. This means if you want to explore the land around the center you should dress for the weather and hiking in the forest. Have good sturdy shoes, a rain jacket if necessary, and making sure to have insect repellant. You should also plan to bring a water bottle, snacks, and sunscreen. Admission and parking are free to visitors. The hours change with the seasons so check their website for information about when you will be in the area. Oh, and just to warn you, there is no cellular phone coverage in this area. The Tillamook Air Museum offers visitors a chance to explore wartime and aviation-themed artifacts from World War II to the present day. These include rare WWII medals and gear, photos, documents, and uniforms. Housed within Hangar B, built back in August 1943 during World War II due to the need to defend the west coast. It was constructed to house eight K-Class airships, blimps that were built to patrol and house anti-submarine warfare operations. Decommissioned in 1948, the former Naval Air Station is the perfect location for the museum. 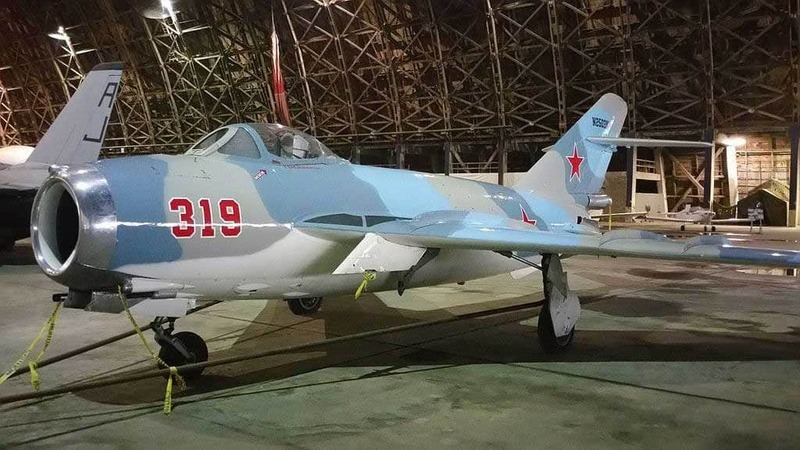 There is a theater in the museum to give visitors a chance to view the history of Hangars A and B. It also explains how Tillamook, and more specifically the Naval Air Station, were vital to the defense of the Pacific Northwest after Pearl Harbor. On display are many different engines, some dating back to the early days of aviation. The collection includes engines dating back to the 1920’s all the way through the 1950s. 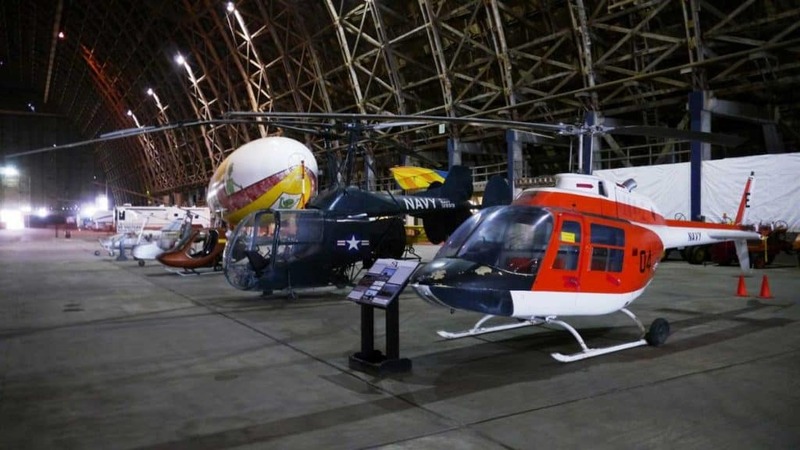 The Helium Room has remained untouched and allows visitors a chance to glimpse into the running of the air station during this historic part of US history. Here you can learn about the tools and machines integral to the functioning of the airships. Many other exhibits help visitors get a real glimpse into life during World War II. There is the Anderson Air Raid Shelter Exhibit, a walk-thru experience of what life was like in a British shelter during the “Blitz.” In addition, there is an army tent exhibit, a WWII diorama, and artifacts from a SB2C Helldiver crash. The Museum is open to the public Wednesday through Sunday from 10 am to 4 pm. Admission for adults is $10.50 and for young people ages 7 to 16 it is $7.25. For a more detailed breakdown of admission prices, you can check their website. Founded back in 1935, this museum has 19 different display areas focusing on the history of the North Oregon Coast. This history includes prehistoric specimen, the Tillamook Indians, Captain Gray, as well as current exhibits about the coast. There are also temporary exhibits on display throughout the year. The Museum has a library giving visitors a different look into the county’s past. 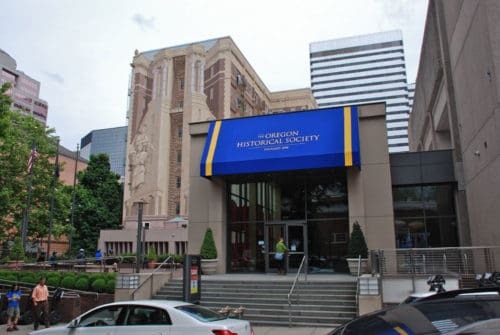 People visit this library for genealogical information including obituaries, unpublished family books, cemetery and baptismal records, and many other items helpful in researching ancestry. In addition, you can peruse transcribed oral histories and magazines. The Museum is open Tuesday through Sunday from 10 am to 4 pm and closed on major holidays. Admission is $4 for adults, $1 for students, and children under 10 are free. For more detailed information, including the address, you can go to their website. 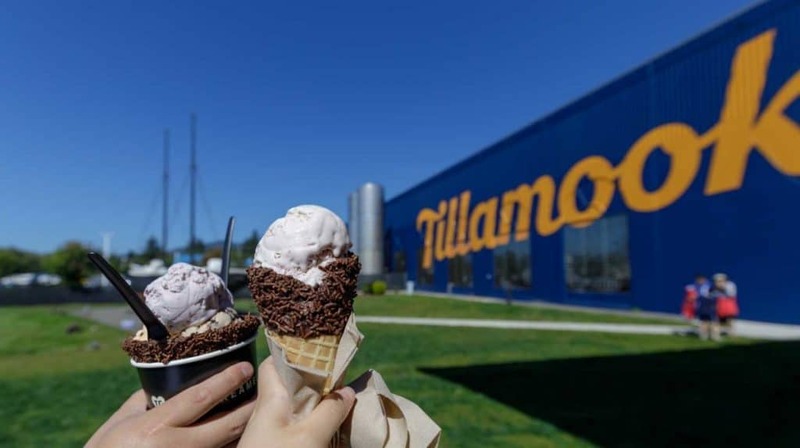 Perhaps the tastiest part of visiting Tillamook, this is a functioning creamery that allows visitors to come in and learn all about Tillamook products. This creamery churns out more than 160,000 pounds of cheese every DAY! This is a self-guided tour with interactive kiosks, viewing windows, videos, and other stops along the way. The tour ends with an opportunity to sample the products you watch being made. In addition to touring the facility, there is a farm exhibit. This exhibit gives you a glimpse of what life is like on a farm and what goes into keeping cows healthy so that they can produce the milk necessary for all the products made at the creamery. After all of that learning, you can check out the dining hall that features an ice cream counter, yogurt bar, and espresso counter. There is also a chef-crafted menu utilizing Tillamook products made within the creamery. Before you leave you can shop at the Tillamook store. Here you can buy products from the creamery as well as apparel. They also have Oregon-made kitchen staples so that you can bring home gifts and goodies that are one-of-a-kind. The Creamery is open daily year-round but the times change depending on the day and season. For detailed information about when you can visit, go to their website. If you are lucky enough to be able to stay for more than a day in Tillamook, these are my suggestions on where to stay. I have included links to the locations, they are from my favorite place to make reservations www.booking.com. The Ashley Inn of Tillamook The Inn is centrally located and has a spa on site. It is the best-rated hotel in the area and if you are traveling with a furry friend, this location is pet-friendly. Shilo Inn Suites Tillamook If you are wanting something a little more romantic, this is the place for you. There is an indoor swimming pool and hot tub, a restaurant with a full bar on site, and is highly recommended by couples. 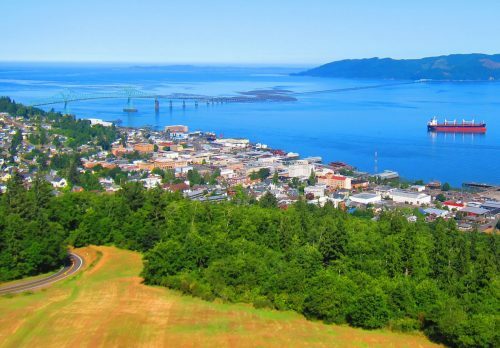 How long should you spend in Tillamook? 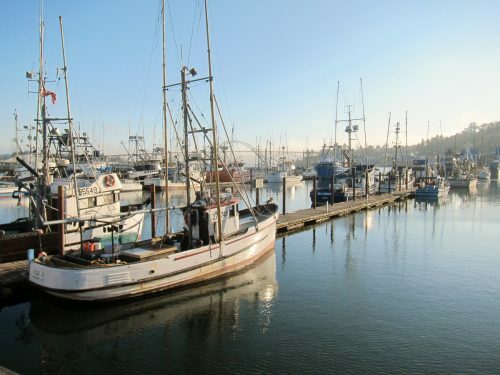 Tillamook is a great stop along the coast – but how long should you allocate to the visit? That depends on your overall itinerary, of course. If you’re traveling along the coast looking for stops, you could just spend an hour at the creamery, enjoy sampling the cheeses and ice cream and move on. That’s what we did on our first trip to the area. 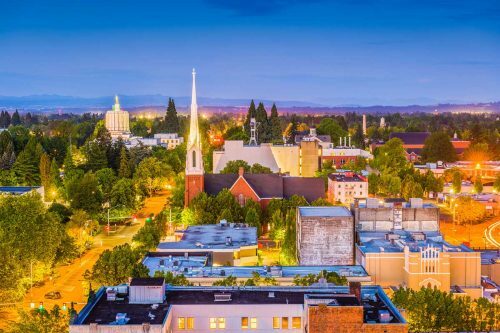 If you find any of the attractions mentioned here interesting, you could try and allocate half-a-day to this Oregon location to explore that place. 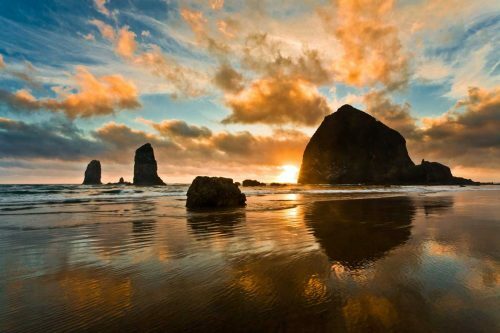 And finally, you could center your Oregon Coast vacation around this area of the coast, in which case, Tillamook could take up to 2-3 days of slow-paced exploration. I hope you found this guide useful. 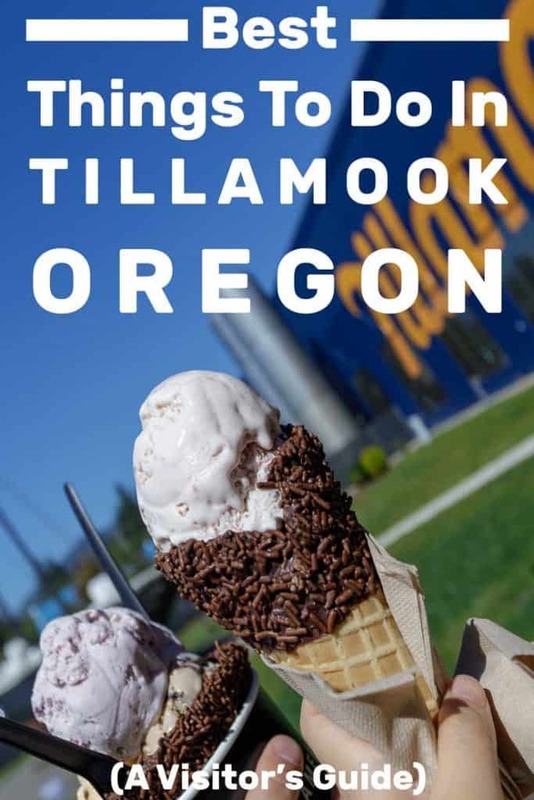 If you’ve visited Tillamook or you live in the area, leave me a comment and let me know if there’s anything else you think we should add to this post!